Pupils from Meridian High and Fairchildes Primary schools have released a charity song to mark the second anniversary of the Croydon tram crash. The students were offered the chance to professionally record a song they performed in public at last year’s memorial service to mark the November 9 anniversary of the derailment. 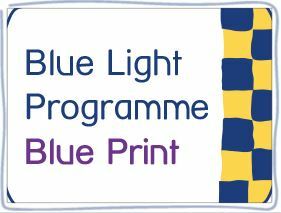 Their release will be raising money for The Blue Light Programme to help members of the emergency services via the charity Mind. The group of 60 gave a moving performance of ‘Somewhere Only We Know,’ a song made famous by Keane and members of the audience were so touched by the rendition that they suggested the tune be released for streaming. “After two years the memories and pain from the tragic tram accident are still vivid and deep for far too many people in our local community. While the negative impact of this accident will linger on for years to come, it is also an event which, once again, showed just how strong the people of New Addington and South East Croydon are; and the depth of strength we share in community spirit and cooperation,” said Martin Giles, Headteacher at Meridian High School, a member of the multi-academy GLF Trust. “We were overwhelmed by the response to the performance of ‘Somewhere Only We Know’ and were proud to be invited to record the song as a download/fundraiser. Anyone present at the memorial event last year will know that some of those most deeply affected were the hard working men and women of the emergency services. Many of them saw things that nobody should ever have to see,” added Jo Hussey, head of Fairchildes Primary School. The crash, in 2016, resulted in the death of seven people and injured more than 60. Chris Ransom, owner of music studio Baltar Media, stepped-in to help the young singers and the management team of Keane and Universal Music Publishing, owners of the song’s copyright, gave permission for the song to be recorded and sold with a small administration fee. Meridian High School students Courtney Turner and Charley Brown open the song as joint soloists before the full choir joins the piece. You can download the song HERE. The song is also available for download on iTunes and Amazon and can also be streamed on Spotify or Deezer.